Welcome to my website. I am proud to be the standing SNP Member of Parliament for Central Ayrshire, and it was an honour and a privilege to be elected to Parliament in 2015 to represent my home constituency. Over the past three years, I have worked tirelessly to stand up for the needs of local people and businesses in Westminster and to make a difference in our towns and villages. I believe my record in office speaks for itself and you can put your trust in me as your local MP. Feel free to join the conversation on my blog and follow me on social media. You can also check our constituency map by clicking here. What are the issues an MP can address? Devolved matters, such as Health, are dealt with by Members of the Scottish Parliament, and local government matters such as Planning and Housing are dealt with by your local councillors. If you are unsure who is best placed to help you, Dr Whitford's constituency office can assist you. You can contact them by clicking here. How can I raise an issue or seek assistance from Philippa? MPs are generally at Westminster in London from Monday to Thursday, leaving only Friday during the working week for constituency appointments, although Parliament does sometimes also sit on a Friday. However, MPs have constituency teams who are based locally to help constituents. When in the constituency, MPs will also hold regular surgeries so that constituents can drop in to seek advice. If you have an issue you wish to raise with your MP there is no need to wait for a surgery - just contact the constituency office. My constituency office in Irvine is open 10am to 4pm from Monday to Friday. Constituents can drop in without appointment. Which party does Philippa represent? Dr Philippa Whitford is an SNP MP and is their Health Spokesperson in the UK Parliament. As an elected MP it is her job to try to represent all those living within her constituency, not only those who voted for Philippa or the SNP. You can contact Philippa's Central Ayrshire constituency office with queries pertaining to any issues that are reserved to the UK Parliament at Westminster. You can find out more about SNP Policies on their website by clicking here. Where can I find more information on SNP Policies?  To find out more about SNP policies and activities in your area you can visit the SNP website. What are Philippa's particular areas of interest? How can I be kept up to date with Philippa's activities? You can be kept in the loop about Philippa's activities and latest news by signing up to our newsletter. Click here to subscribe. Alternatively you can like and follow Philippa's Facebook page. Be sure to use the 'Following' drop down just under the banner image and check 'See First' for your newsfeed and turn notifications on. If your questions are still unanswered you can contact Philippa's team by clicking here. Alternatively, you can use this search bar to find articles and pages on this site.